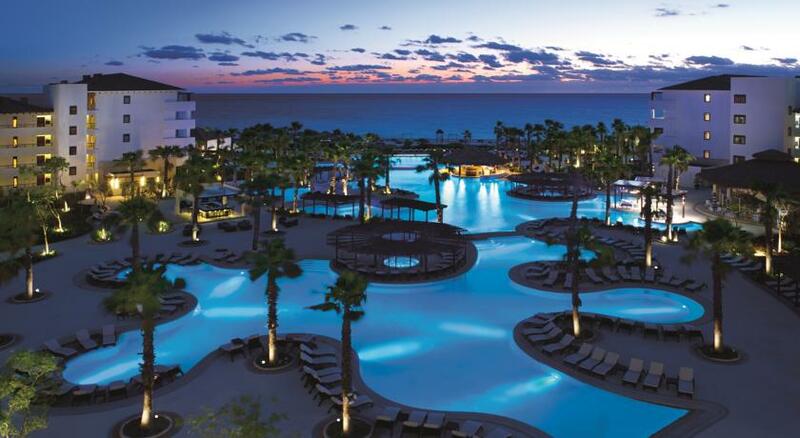 Secrets Playa Mujeres Golf & Spa Resort is an all-inclusive resort, located in beautiful Cancun. Settled on pristine white-sand beaches, in a private gated community, this modern adults-only, all-suite resort sits adjacent to an 18-hole signature Greg Norman golf course. It’s near the best shopping, beach-front restaurants, and nightlife in the area. Giving you spectacular views, swim-out suites, an Unlimited-Luxury® experience, gourmet dining and more, Secrets Playa Mujeres Golf & Spa Resort creates the perfect setting for a vacation in paradise. This Unlimited-Luxury® resort welcomes our guests when you enter an elevated clubhouse with outstanding views of the ocean. You’ll be steps away from some of the resort’s gourmet restaurants, fitness center and spa. Open-air spaces make it ideal to enjoy the warm ocean breeze. We are home to a protected mangrove located between the reception area and the main pool section where some of the region’s flowers and birds can be seen and photographed. When it’s time to unwind, visit the Secrets Spa by Pevonia and choose from a selection of the most relaxing and soothing treatments available. Guests can find the perfect spa products in the charming boutique to continue enjoying the results back at home, and extend the beneficial effects. All of the 424 luxurious, comfortable suites guarantee swim-out access or spectacular views of the Caribbean Sea, private balconies or terraces and are decorated with local wood elements. The Unlimited-Luxury® experience continues with exquisite dining options providing guests with a unique collection of gourmet à la carte restaurants and lounges. Celebrate authentic Mexican traditions and taste distinctive recipes at the upscale restaurants, or listen to live music at Desires Music Lounge. Nightly entertainment includes exciting live music and shows, theme parties or outdoor movies right on the beach. It’s all included at the new Secrets Playa Mujeres Golf & Spa Resort.